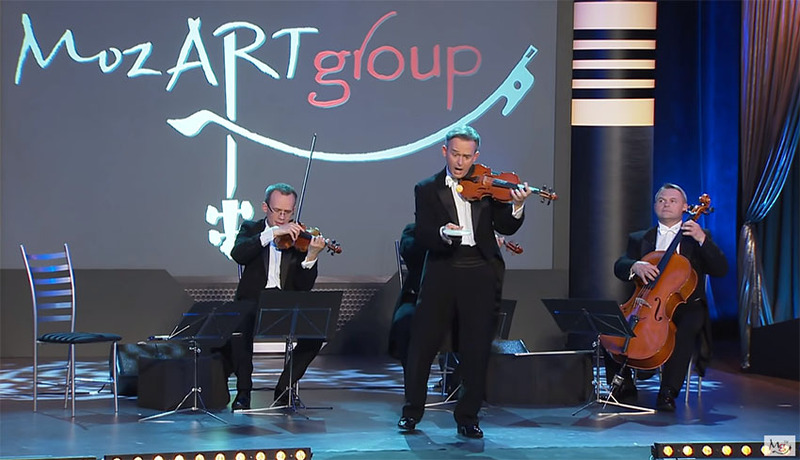 MozART is a group of violinists coming from Warsaw, Poland. They are known for their unique performances in classical music, and on the stage they always take care of the dose of laughter , with their presence. There was nothing else at the past concert where they showed their way how to make a good impression on a woman. First, one of the members of the MozART group took the table tennis racket into his hands, then he took care for the pace with ball bouncing while his friends were playing in the background. Already at this point, there was no shortage of laughter, and then the violinists went a step further. Soon after the first member, the second member took the reins in his hands. This one got a balloon, inflated it in front of the audience, and then took care of all the known melody while releasing the air out of it. Look at how the musicians from the MozART group showed how to impress a woman at the previous concert. Laugh is guaranteed here!